You noticed that it’s time to have the oil in your Nissan changed, and now you just have to figure out where around New Orleans to have the service done. 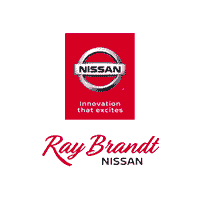 Opting for a Nissan dealership’s service center, like the one at Ray Brandt Nissan in New Orleans, is ideal since the technicians will be familiar with your particular model and have the appropriate oil on hand. Leaving the oil change to the professionals is a smart idea since the process involves opening your car’s hood. This gives a trained technician a chance to see if any components show signs of wear or any other issue. By having a professional take care of the oil change, they may spot a potential problem early on, saving you time and money by taking care of it before it gets the chance to worsen. Among all the various vehicle maintenance services, oil changes are perhaps one of the most frequently put off. Some drivers around New Orleans and Harvey, LA, simply feel that their vehicle can go another few weeks or even months without an oil change, but the official Nissan recommendations are there for a reason. If you put off changing the oil too long, your engine will be exposed to contaminated oil filled with dirt and debris. This can eventually cause damage to the engine overall or specific components, like the cylinders or camshaft. Instead of putting your engine at risk, take a half-hour out of your day and have the oil changed. Your engine will thank you by lasting longer, and it will operate at peak efficiency. Because of these benefits, you will notice that you spend less money at the gas station when your oil is changed on a regular basis. The trained technicians at Ray Brandt Nissan’s Harvey, LA, service center can easily change your oil for you after suggesting the ideal lubricant for your particular model. Conveniently schedule your oil change service online now!